When cryptocurrency becomes a currency that can be transacted easily but is still safe, then in the future the development of cryptocurrency will really be able to shift the FIAT currency. An element that is very mandatory in participating in this business is wallet and exchange. There are many wallets available for download, but they still provide the usual features and are vulnerable to hacking. Today's human life is in need of comfortable mobility and guaranteed asset security. Mixin Network is the solution for all of us to transact using cryptocurrency easily, safely and of course without transaction fees. You can store many types of cryptocurrency in one wallet and can easily manage the wallet. Equipped with the best security system, it is certain that the assets that you store in Mixin's wallet will remain safe. You only need to prepare an active telephone number and also 6 digit pins to be able to secure your wallet account. A simple step with privacy that I think is fair and also not hassle. By offering very elegant features, Mixin Network is likely to be the choice for all cryptocurrency communities to store and transact digital assets. You will not be charged a transfer fee when sending funds to Mixin users as well. Each user has a Mixin ID that can be used as a substitute for their wallet to transact with fellow Mixin Wallet users. Super fast transaction speed, which is trillions of TPS (Transactions Per Second) you can feel when sending cryptocurrency using Mixin Wallet. This shows that Mixin Wallet is ready to handle commercial, business and individual transactions simultaneously. And what is no less unique is Mixin supports many cryptocurrency, such as BTC, ETH, EOS, XRP, LiteCoin, DASH, Doge, NEM and so on. In addition Mixin Network also provides Mixin Messenger, which is a DApp from Mixin Network which is a messaging service with end-to-end encryption feature, making it safe from any misuse of data. You can add friends by entering a telephone number, you can also send emojis, images, text messages, create groups and even you can send cryptocurrency to your friends without fees. The Mixin Messenger application has been implemented in the Mixin Wallet application when you download it. Additional information, that Mixin Messenger has collaborated with financial institutions from Nepal to be able to conduct cryptocurrency transactions. In serving users who want to exchange without having to leave Mixin Network, OceanONE is available which is a product of Mixin Network as well as a decentralized cryptocurrency exchanger. 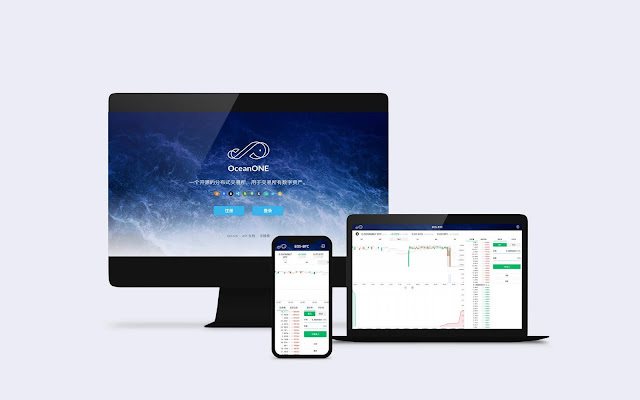 You do not need to copy and paste the private key to be able to use OceanONE, just by registering the mobile number and feeling exchanging cryptocurrency without having to pay a transaction fee. BTC, ETH, EOS, XRP, ETC, SC, BCH, LTC, DASH, Doge, ZEC and XEM are available for exchange. XIN Token is now registered at Coinmarketcap.com, check here . Some services from the Mixin Network use XIN Token as the fuel. Then every fee paid using XIN Token, will be burned by the developer to reduce the total supply of XIN Token. This will certainly affect the occurrence of the XIN Token step which causes the price of XIN Token to potentially rise. A very limited total supply of only 1,000,000 Tokens makes everyone scramble to have this rare item.